The annual committee of the German record review awards has awarded the CD series Nowadays, when journalists talk about '50 years of pop music' they are ignoring the fact that popular music existed prior to 1955. Pop music did not appear from nowhere but has a rich 'pre' history. Keywords like Big Band Sound, Gospel, Jump Blues, Vocal Groups and Boogie Woogie characterize this period. The first eleven compact discs in the 'Blowing The Fuse'-series are a compilation splendid in sound and detail, dealing with important years in the progress of pop music in the range of black r&b, imaginatively compiled by the Canadian collector and DJ Dave 'Daddy Cool' Booth, and knowledgeably annotated by Hank Williams-biographer Colin Escott. Berlin, November 19, 2005 THE NEW GOLD STANDARD IN R&B REISSUES IS NOW COMPLETE! Critics raved. Finally a series that really made sense of the wealth of music from R&B's early years! Now that series is complete. 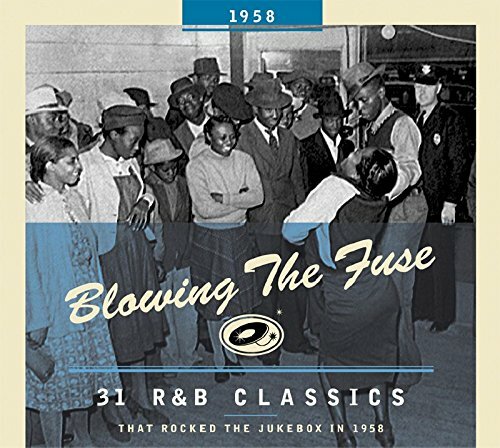 Here are the years 1956-1960, and here's why 'Blowing The Fuse' will be the standard for R&B reissues now and forever!